If you’re lucky, you get to travel a bit in life. I don’t mean like to the next town, or just New York or Las Vegas. I mean travel to a faraway place. I was lucky to get a chance to go to Rennes, France this week for work. It is about 250 miles (350 kilometers) to the west of Paris. It is a charming little town, known mostly for being an academic hub. Even better, I got to take the TGV, the high speed train from Massy (near Orly Airport) to Rennes. 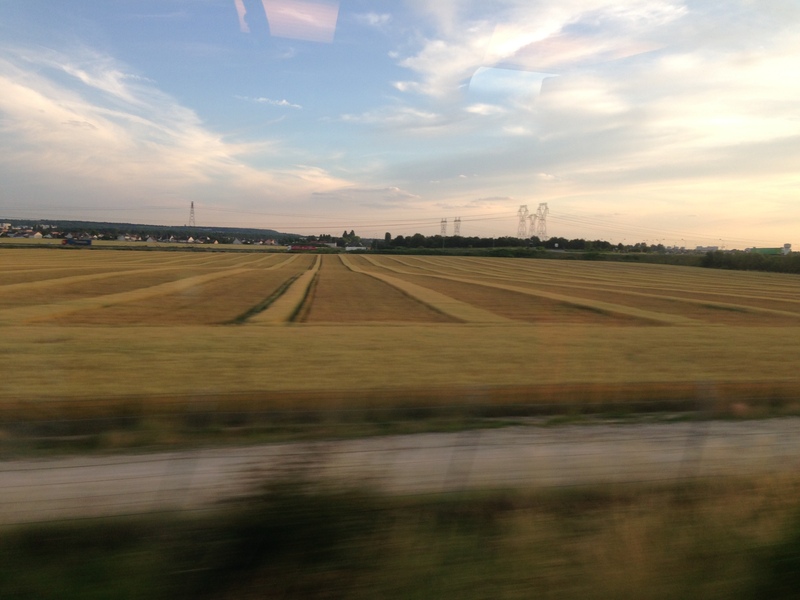 It was awesome to see the French countryside going by so fast! The picture from the train is tilted because we’re going so fast, that the image stretches, especially in the foreground. The benefit of the TGV is, of course, speed. And when you have speed, you have other benefits. In this case, it was extra time to get lunch! Instead of having to eat at the train station (not a horrible choice, but really, who wants to eat at a train station? ), I got brave and decided to Yelp a location. The criteria were as follows: only reviews in French, only 4 stars and above, two Euros designating price, and it had to be close to the train station (less than 5 km — yeah, I know, when in Rome). 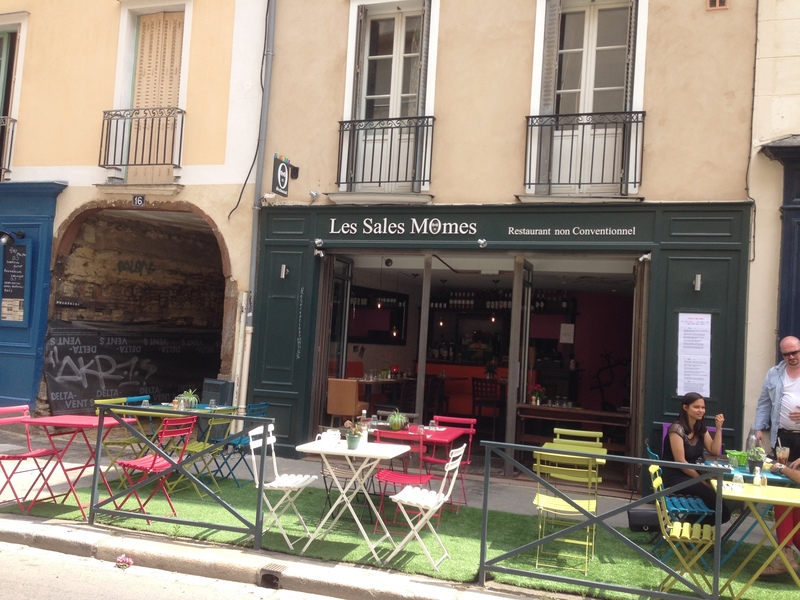 “Sales” in French means rooms. I don’t know about Mômes, but I think it has something to do with kids. Here’s a picture of the place. In any event, the two nice girls running the place politely greeted a poorly-spoken French tourist. They didn’t try and help me in English, which frankly, is part of the point of going to a locals-only place. The menu was a chalkboard about 18″ wide by 30″ high. It was given to me with no explanation. I couldn’t understand a lot of what was written. There were, of course, familiar words (thank you Mme Oudin and Mme Vandergrift). So I chose something that said <<Dorado>> and <<tomate>> figuring that it was a Dorado (fish) in a tomato base. While I waited, it was just nice to see people at lunch. There were a couple of 20-something girls behind me, a 20-something guy with his mom, and a table of working folks at another table. The really wonderful thing was that no one was on their mobile phone. I didn’t see anyone pick theirs up, or text, or call, or anything. It was a lunch from 1998 or something. Just a lovely day, and a meal on the way. So, here it comes! I was a bit surprised, because I wasn’t expecting this! The grill marks are on the top part of the bun. I had ordered the French equivalent of a Filet-O-Fish sandwich! And what a sandwich. The bread was toasted and delicious. Instead of ketchup or tartar sauce, the entire thing rested in a little puddle of spicy tomato sauce. There were little beads of balsamic vinegar and olive oil too. The fish itself was grilled, and the skin was left on. Gross you say? Only if you haven’t had a wonderful, slightly oily fish like Dorado before. The crunch of the skin with each forkful (yeah, too messy to eat with your hands) had a wonderful balance of fish, bread, tomato and other seasonal vegetables. There were pungent, bitter purple strings on top that enhanced the tomato sauce. And, there were little cucumber pieces that were spiced — not like pickles, but with a semi-sweet taste that contrasted wonderfully with the fish. So, that got me thinking. If I’m having a French fish sandwich, why do I think that this is so special? Well, I guess it was special was because I first remember the McDonald’s Filet-O-Fish as being the only thing i could choke down on the menu there as a kid. Here’s the shot of one from an advertisement. 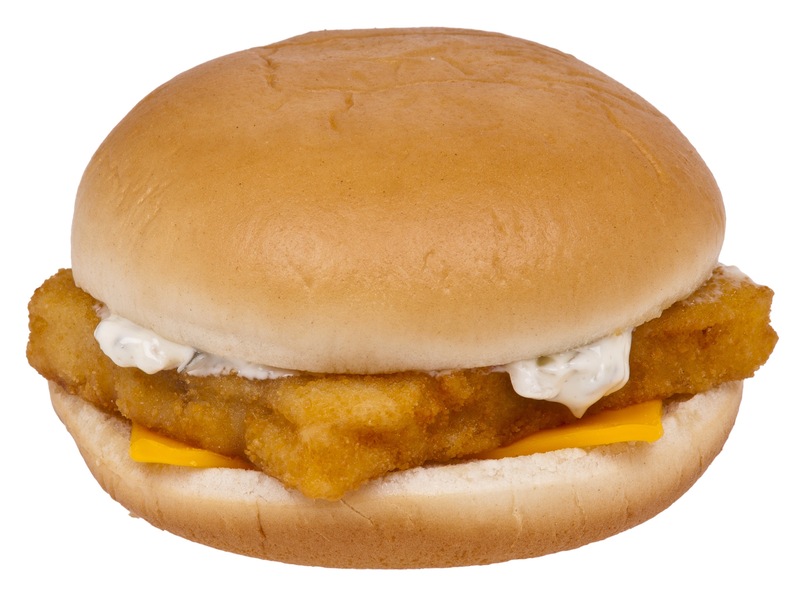 Notice any difference in the two fish sandwiches? We like to get on the French for a lot of things. Being snooty. Eating snails. Leading the world in being able run backwards waving a white flag. But they get a lot right. Like food. Real food. 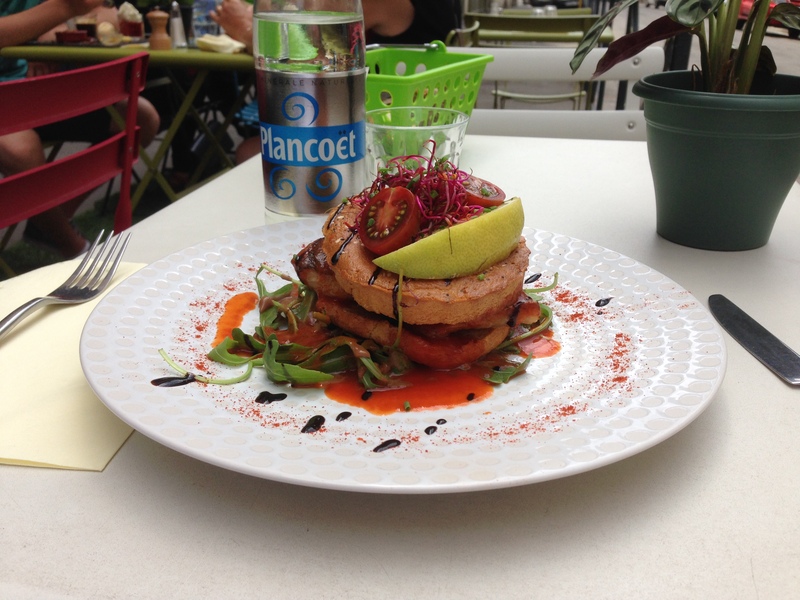 If you get a chance to have lunch somewhere foreign, do it. Order something off the menu that you can’t understand. And, eat and appreciate it. France for lunch? Sure! You are currently browsing the Blog of craigylee blog archives for June, 2014.